Two acts gearing up for a co-headlining U.S. tour this Fall just released a galvanizing upbeat new cut in anticipation of their two month engagement. 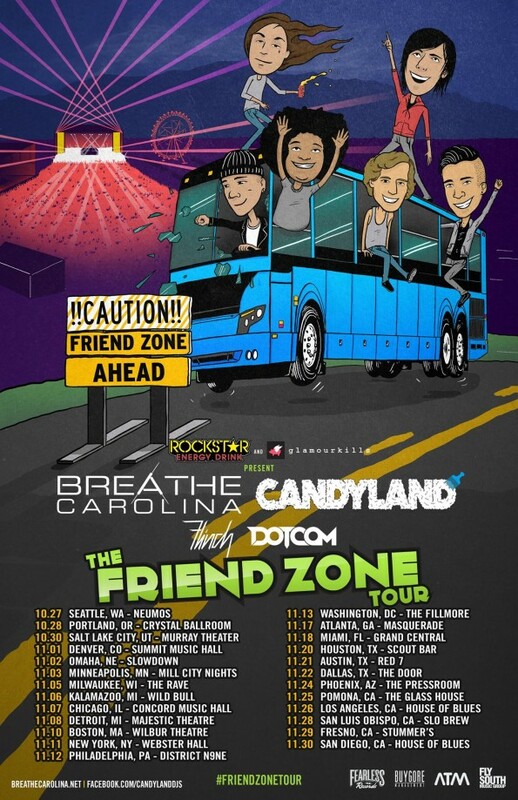 With the Friend Zone Tour kicking off in October, the Santa Barbara duo Candyland and the boys out of Denver known as Breathe Carolina come together for “Find Someone” a three minute high energy scorcher. Breaking away from their usual trap/dubstep/house stylings, C-Land provide an energetic beat befitting the electro-poprock sounds of BC. What you’re left with are two approaches coexisting nicely for a buzz-worthy collaboration in what’s unquestionably a sign of great things to expect from the two.